Pluripotent stem cells are extremely useful in regenerative medicine as stem cells have the ability to transform into any type of cell. They can therefore be used to repair organs that are damaged through injury or disease. Obtaining stem cells for use in regenerative medicine can be a challenge as not all stem cells are ideal. Some are better at differentiating into the desired cell type than others. Identifying and obtaining stem cells with high pluripotency is important. If stem cells with low pluripotency are harvested and transplanted into patients, they may not differentiate into the desired cell type. In a worst-case scenario, the low pluripotency stem cells may even go on to form tumors. In order to find the right type of cells, it is necessary to use staining or labelling techniques, such as fluorescent markers. While these techniques allow the best stem cells to be identified, the procedure is invasive, time-consuming, and can result in stem cells being damaged or destroyed. Researchers at the University of Tsukuba have been working on a new method of identifying high pluripotency stem cells and have reported a major success. They have developed a new form of microscopy that allows them to identify high pluripotency stem cells that are the most effective for therapeutic use. The researchers developed a new type of differential interference contrast (DIC) microscopy, termed Phase Distribution imaging, which allows cells to be viewed at a much higher resolution. DIC microscopy allows cell structures to be seen as they scatter light differently. Light waves passing through the microscope are then polarized using crystal prisms to create the image. The Phase Distribution microscope uses a moveable crystal prism to polarize the light which allows two separate images of the cell to be obtained at right angles. Computer software is then used to combine the two images, which creates a three-dimensional image of much higher resolution than a traditional DIC microscope. Using this new form of microscopy, the researchers can identify mitochondria more easily – The powerhouses of cells that provide energy. 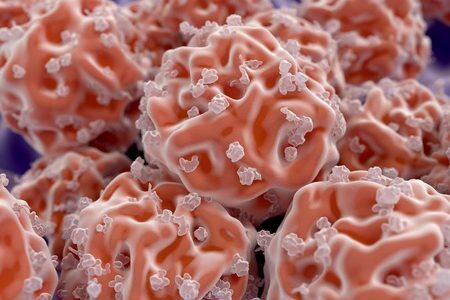 Previous research has shown that stem cells with low numbers of mitochondria have higher pluripotency. Stem cells with high pluripotency have fewer mitochondria, and the mitochondria that they have are smaller. Using the new PD microscope, the researchers are able to quantify the number of mitochondria in stem cells and determine their size to identify high pluripotency stem cells.